The blacksmith shop was built at Dan Nagle Walnut Grove Pioneer Village in 1860. In the 1920’s they added an automobile repair garage to the building. 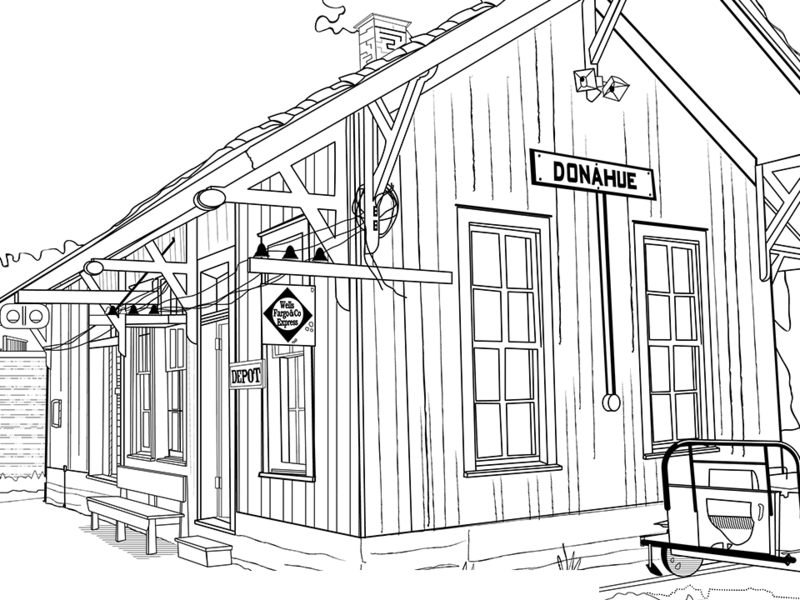 The Donahue Train Depot and JI Case Locomotive and Caboose illustrate the movement of goods and people on the railroad. Farming is and was a large part of rural Scott County. The Dammann building showcases farm equipment from the days of sod busting to threshing. And at the center of all enterprise was the community bank, represented by Walnut Grove Bank.